I've said it before and I will say it over and over - I am a sucker for giving practical gifts. Yes, those little knick knacks are cute and some people may love them, but there's nothing that beats a gift that can certainly be used! Oriental trading offers some great options for gifts, especially personalized gifts. For hubby, I chose to create a custom drink recipe and gift, as well as a personalized pocket knife. For the gift, which I placed within a basket, but would also look great in one of these distressed wooden trays. The mule itself is easy enough to replicate, including only four ingredients. 2 tbsp. of lime juice. 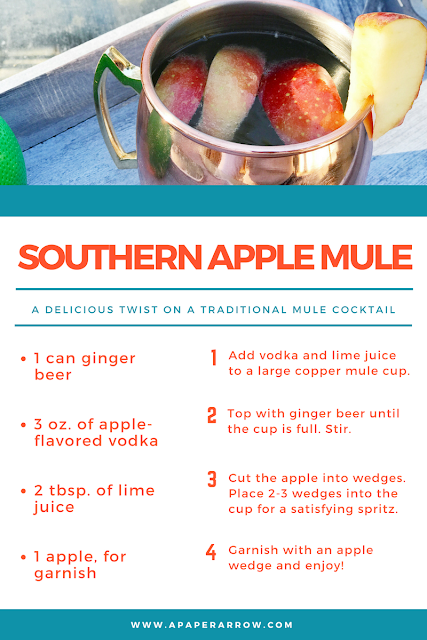 Add vodka and lime juice to a larger copper mule cup. Top with ginger beer until cup is full. Stir. Cut the apple into wedges. Place 2-3 wedges into cup for a satisfying spritz. Garnish with an apple wedge and enjoy! The recipe can be created with a diet ginger beer for less calories, carbs, etc. Either way, it's an incredibly simple recipe and refreshingly delicious soda cocktail, great for sipping. 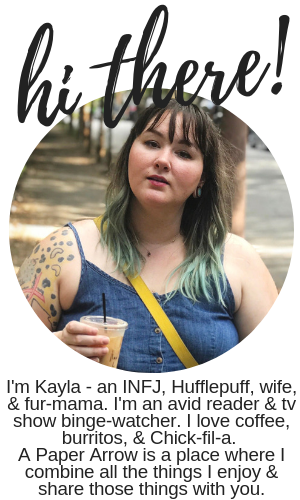 This was such a fun and quick gift to put together. I also enjoyed creating and sipping on this delicious cocktail creation. A) I LOVE the Oriental Trading Co. & used to pore obsessively through their catalogs as a kid, B) this is such a cute gift idea! 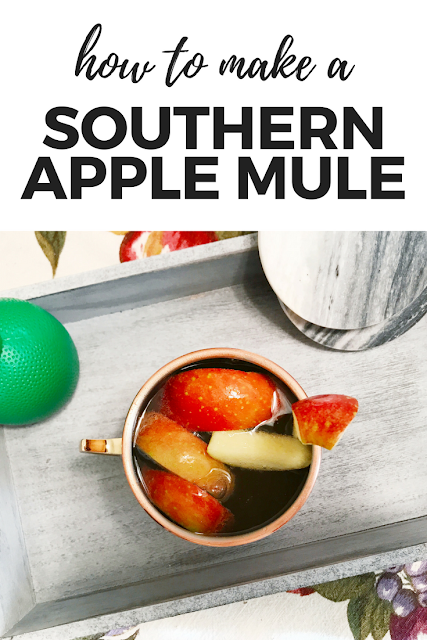 That mule looks and sounds delicious! Wish I was sipping on one of those right now. It's so yummy and easy to make!